A unique property offering three luxury apartments, situated in a secluded, yet central village location, with pubs and restaurants within 200m. No 1 The Old School comprises a huge hall with beautiful feature staircase, and open stone fireplace. There are 2 ground floor twin bedrooms, one with en-suite (shower and bath). The magnificent staircase leads you upstairs to the open plan living room, with spectacular views of the Castle (especially at night, when the castle is lit!) and to the west coast; the comfortable living room is equipped with a flat screen LCD TV, with DVD and Freeview, and also includes a small sofa bed. 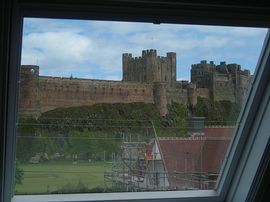 Also on the first floor is the master double bedroom, with en-suite (bath and shower), again with a fantastic view of the castle. Externally, there is a large lawn to the south of the house, ample parking, and the school yard. All bedding and hand towels are provided; guests to provide there own bath towels. 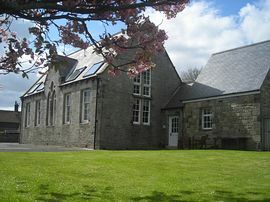 No 2 The Old School comprises a large kitchen with modern appliances, and exposed stone work. A large open plan dining-living space, with original wood flooring, a flat screen LCD TV with Freeview and a DVD player. There is a ground floor family bathroom, with bath and shower. On the first floor, there is a master double bedroom, and a twin bedroom, both with opening velux windows; down stairs there is a small sofa bed. Externally, there is an enclosed yard to the rear of the property, and a small lawned garden. 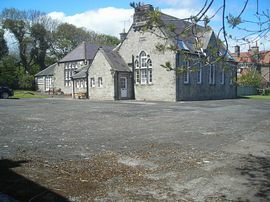 At the front of the house there is ample parking, and the school yard. All bedding and hand towels are provided, and beds made up for arrival; guests to provide their own bath towels. No 3 The Old School comprises a large dining kitchen (incl. Dishwasher and washing machine) with French doors onto the rear garden. On this level, there is a twin bedroom. A short flight of stairs (not for the elderly or very young) in the entrance hall leads down to what was the old school hall. On the ground floor to the rear there is a large double plus twin bedroom; to the front there is the master double bedroom with en-suite (bath and shower). The large family bathroom sits in between the two bedrooms (bath only). A beautiful feature staircase leads up to the first floor open plan living area, where there is a flat screen TV with DVD and Freeview, and a full size pub pool table (its free!). 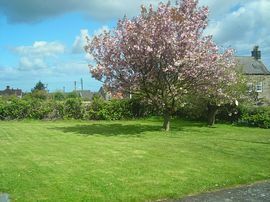 Externally, there is a large lawn to the rear of the house, ample parking, and the school yard. All bedding and hand towels are provided, beds are made up for arrival, guests are to bring their bath towels. Lawned garden, and shared use of large school yard. Traveling on the A1 (approx 50 miles North from Newcastle upon Tyne and approx 20 miles south of Berwick upon Tweed) take the B1341 right hand turning to Bamburgh (left hand turn if coming from the North at Purdy Lodge Service Station.Follow the B1341 into Bamburgh village. Turn left at the Victoria Hotel, and then immediately right onto Church Street. There is a small alleyway approximately 200 yards on your left, at the end of the wood, between 2 houses, you will see a white gate approx 20 yards off the main road, this is the entrance to The Old School. Proceed along road towards coast and Swinhoe. At Swinhoe junction the road becomes B1340 passing Beadnell, through Seahouses and following coast towards Bamburgh Castle. Continue into Bamburgh Village (Church Street), after passing the cricket pitch, and approx 50 yards past The Wynding, look for a gap between the houses on the right hand side. You will see a white gate approx 20 yards off the main road, this is the entrance to The Old School. No 1 The Old School Rates from: £800-£1,300. No 2 The Old School Rates from: £550-£900. 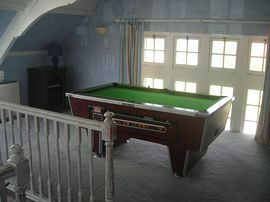 No 3 The Old School Rate: from £700-£1,100. A lovely relaxing week in massive accommodation - The view from the lounge cannot be beaten! Plenty to do and see. Thank you! Joanna, Philip, Edward & Robert G This house is a definite winner. It has lots of room to explore and play hide and seek. The front garden was good for our scooters and playing frisbee and football!